4.7EC Created for Alto Trombone and designed in cooperation with Elliot Chasanov, Professor of Trombone at University of Illinois and former student of Renold O. Schilke, the 4.7 EC is ideal for oratorio and classic solo alto trombone playing. 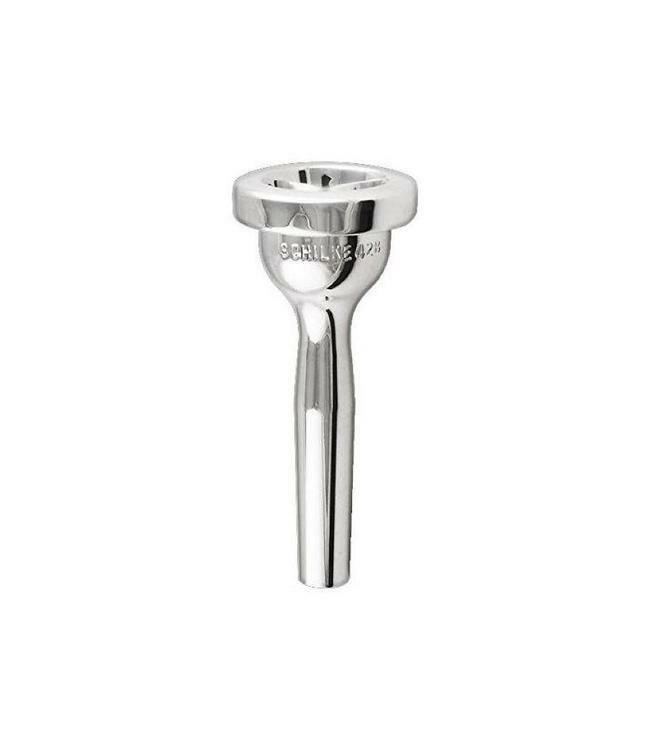 This mouthpiece enhances the higher overtones for a lighter and brighter concept of tone color. Similar to our 47B. 4.8EC Created for Alto Trombone and designed in cooperation with Elliot Chasanov, Professor of Trombone at University of Illinois and former student of Renold O. Schilke, the 4.8 EC is the ideal “all around” alto mouthpiece. Notes center and slot with a pure clarity to the sound. Also useful as an orchestral mouthpiece when blend with larger bore tenors and bass are of utmost importance. Slightly bigger than a 47B. New for Schilke!